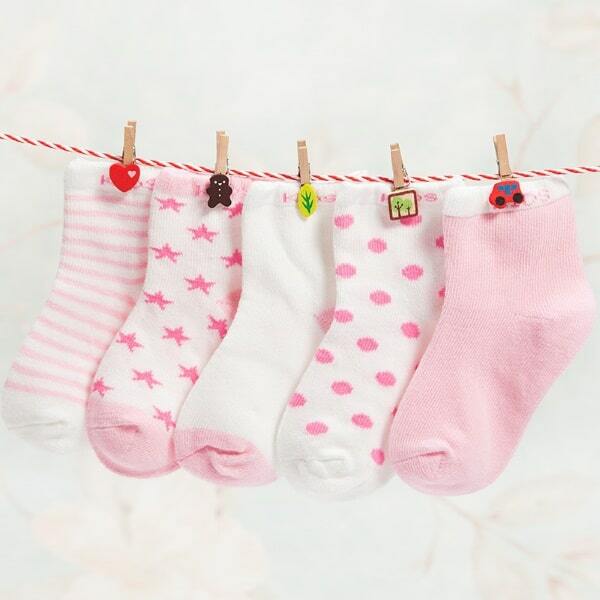 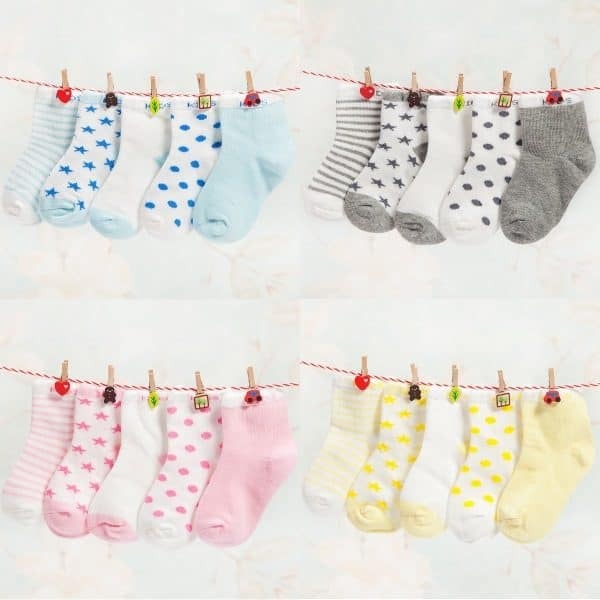 PACK OF BABY SOCKS IN A RANGE OF PATTERNS AND 4 COLOURS. 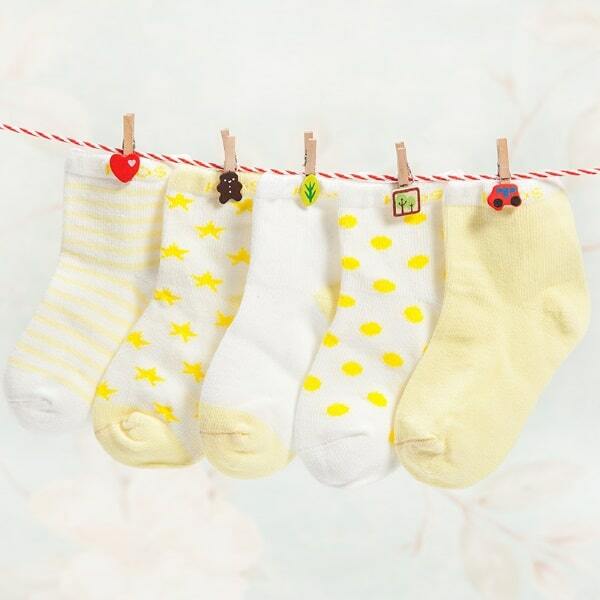 5 PAIRS OF COTTON BABY SOCKS PER PACK. 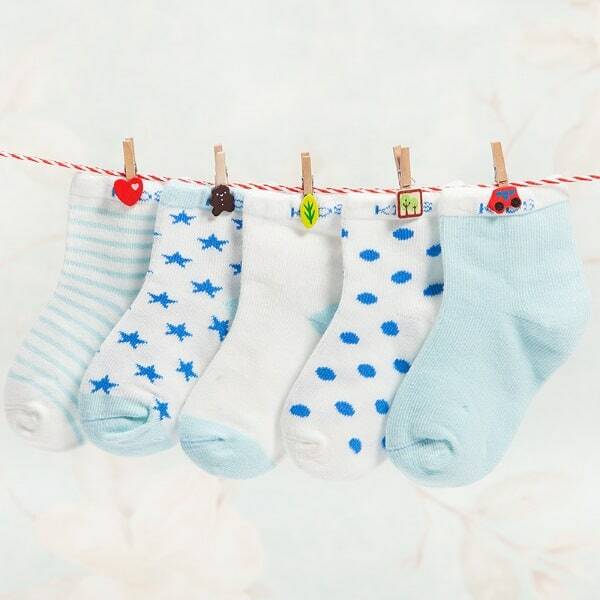 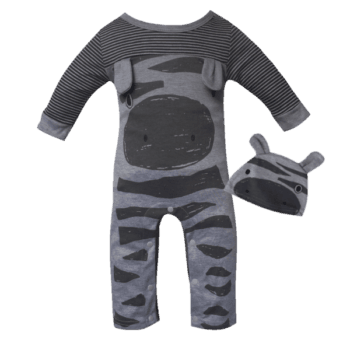 SIZES AVAILABLE TO FIT 0-1 YEAR (11CM SOCK) AND 1-2 YEARS (13CM SOCK).